When a crime, such as trafficking, extends beyond state lines, it immediately becomes a federal crime pursued by the Federal Bureau of Investigation (FBI) or another federal law enforcement agency. For example, if you stole a bike worth $5,000 in Virginia and were caught, the crime would constitute felony larceny, punishable by anywhere from one to 20 years in prison and a fine of $2,500, as per Virginia § 18.2-95. However, simply by crossing state lines with that stolen bike, you may also be charged with another felony, transportation of stolen goods, which is a federal crime. 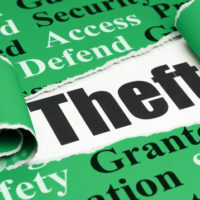 The transportation of stolen goods, securities, moneys, fraudulent state tax stamps, or articles used in counterfeiting with a value of $5,000 or more is a violation of 18 U.S. Code § 2314 when the defendant knows that the items were stolen, taken by fraud, forged, counterfeited, or procured by other illegal means. The punishment for violating this statute is up to 10 years in prison. This statute applies to the person caught transporting the stolen goods as well as anyone responsible for setting up the transportation. The items did not actually cross state lines. If either of these criteria cannot be proven beyond a reasonable doubt by the prosecution, the charges may be dropped against the defendant. Interstate transportation of stolen goods has increased over recent years, which is why the FBI is increasing their efforts to catch and fully prosecute all alleged offenders. Another type of offense, similar to transportation of goods but in violation of a different federal statute, is mail fraud. For example, a person commits mail fraud if they sell stolen goods online through eBay and ship the items, via USPS or another mail carrier, to the purchaser. Mail fraud is punishable by up to 20 years in prison, or even 30 years in some circumstances. A single count for mail fraud can end up resulting in a fine of up to $250,000. If the fraud affects a financial institution, the fines can be up to $1,000,000, according to 18 U.S. Code § 1341. Charges of grand theft, mail fraud, and interstate transportation of goods are serious crimes punishable by multiple decades in prison. If you are being charged with any of these crimes, you need legal assistance immediately. Call the Loudoun County, Leesburg, Winchester, Fairfax, and Prince William attorneys of Simms Showers, LLP today at 703-997-7821.